Sunglasses are about protection, and the Suncloud Rambler Sunglasses give you that in spades while maintaining a high level of comfort and style. 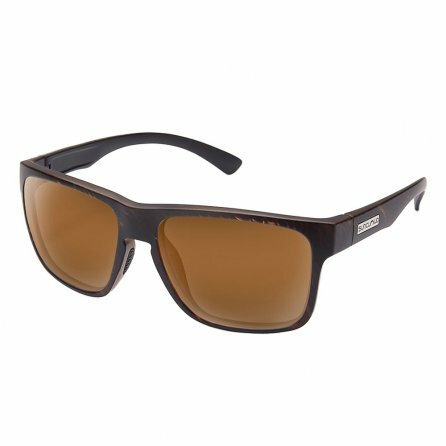 The polycarbonate lenses are polarized to filter out fatigue-causing glare, and the brown tint keeps your natural color perception so everything looks like it should. But that protection is no good if it isn't in front of your eyes, so there's a comfortable TR-90 Nylon frame keeping weight down while the Megol nose pads help hold them in place, actually sticking better when wet, so they're perfect for active use.